HOUSTON, - Here's the latest on events honoring former President George H.W. Bush. Gulley wore a blue jacket with "U.S. Air Force" embroidered in gold lettering on the back and had a button reading "Looking Great for `88" on his lapel. He said he wanted to pay his respects to Bush. A special funeral train carrying the casket of President George H.W. 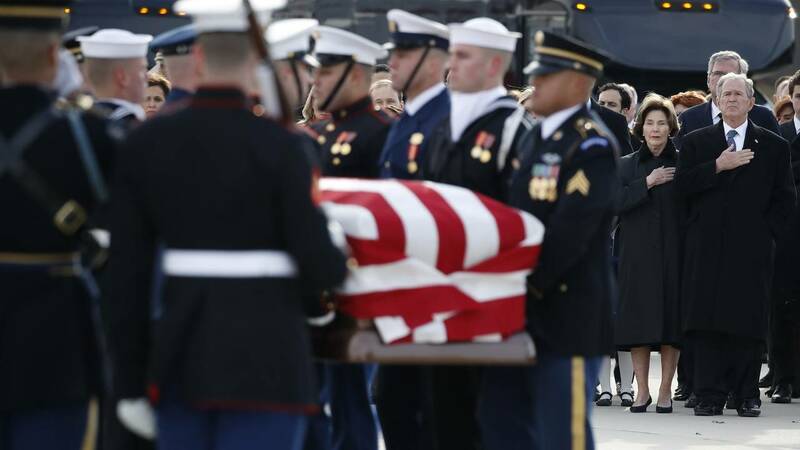 Bush has begun its journey to College Station, where he will be buried during a private service in the family plot on the grounds of his presidential library.